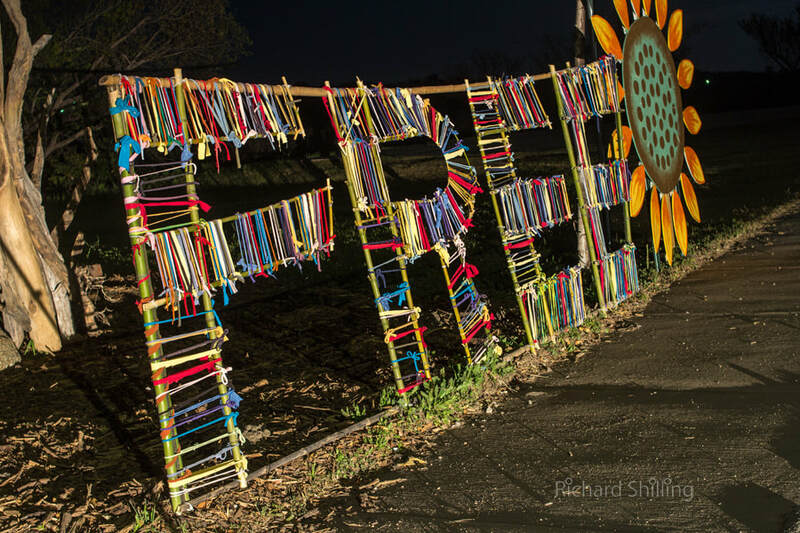 At the Llano Earth Art Festival 2019 in Texas, USA I was commissioned to create the festival entrance way. 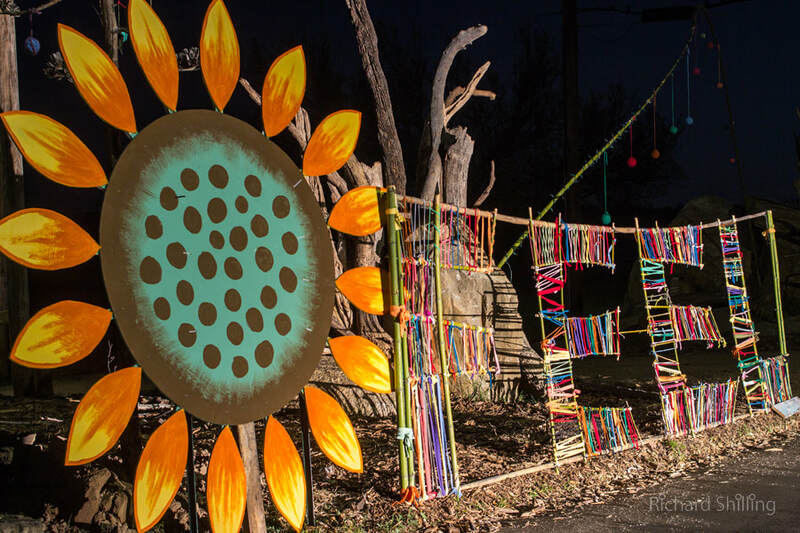 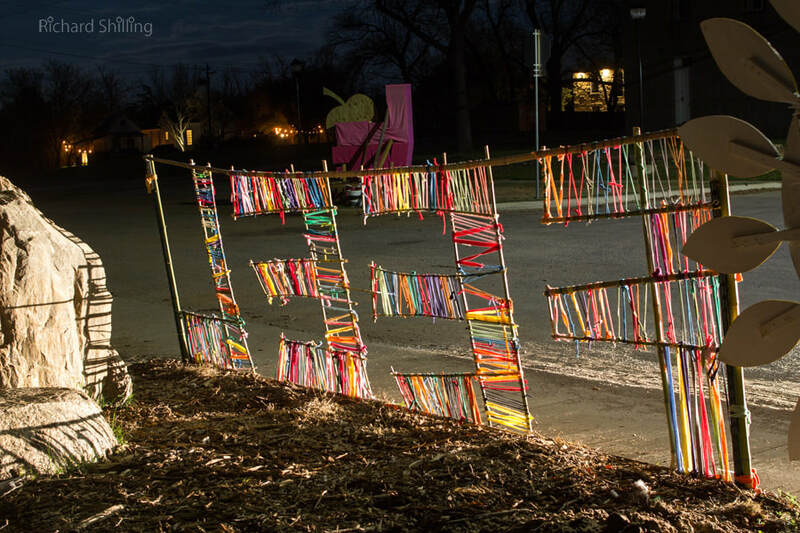 This consisted of a large bamboo arch complete with lights and dozens of woven balls, two very large driftwood pillars and giant flowers on either side and the words 'FEEL' and 'FREE' built on a large scale guarding the entrance all lit by high wattage spots. 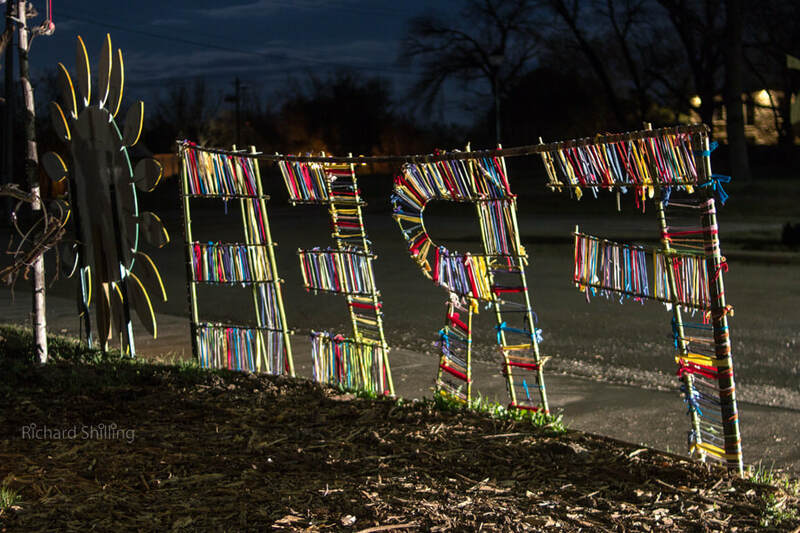 Here are some pictures of the details lit up at night.